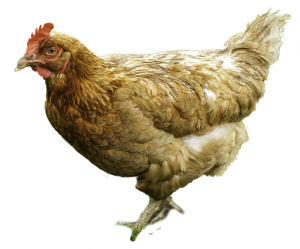 Chickens produce nutritious eggs, organic fertilizer, and are low-cost pets to maintain. Whatever your reason for choosing to own chickens, you’ll need to have a place for them to live. Here you’ll find reviews of the best chicken coops for 4 chickens, but really, you’re looking for a coop for between 2-6 hens, there should be several great backyard chicken coop options for you as well. Picking out a good chicken coop for your girls is a task you want to put some thought into, as you’ll be accessing it regularly to collect eggs and clean out the waste. 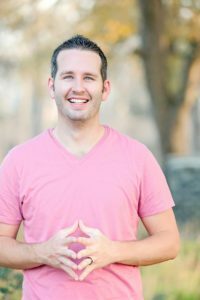 I’ll show you what to consider when making your choice, and then you’ll see my top picks for this year. I’m sure by the time you’re doing reading you’ll see a chicken coop that you – and your chickens – will love. A decent chicken coop for 4 chickens does not have to be a super expensive one. However, it should cover all of the following aspects nicely or you should keep looking. 1. Nesting Boxes: Ideally, chicken coops should have at least one nesting box for every 3 birds, minimum, meaning you need to look for a coop with 2 nesting boxes (or “1 large with a divider”). The nesting boxes should be located in the darkest area of the coop, and definitely be off of the ground. 2. Ventilation: A good chicken coop should have air vents that allow fresh air inside, constantly. If not, you’ll have condensation building up inside every night – even in the coldest weather. You don’t want the vents at the same height on opposite walls; that creates a draft. Instead, make sure the vent areas are at different heights (warm air leaves high and cool air enters low). 3. Perches: Most breeds of chickens like to roost on perches at night, and they naturally look for the highest point on which to perch. 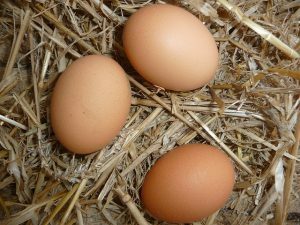 So make sure the perches that come inside the coop are positioned slightly higher than the nesting boxes or you’ll find your birds roost in the nests (which is when they tend to create the most droppings… meaning you may have dirty eggs to collect and cleaning made more difficult). Most chicken coops can be customized if you discover the one you build doesn’t have this, by the way. You need about 8″ of perch space per chicken. 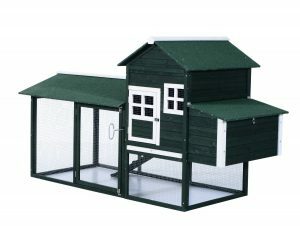 This is pretty much the best chicken coop kit that you can get online, and it’s a perfect chicken coop for 4 chickens (it’s advertised as 4-6 large chickens, or 6-12 bantam). There are 4 nesting spot with removable dividers, and three 36″ roosts – plenty of room for 4 birds. You’re buying American if you get this one… it’s made in the USA! 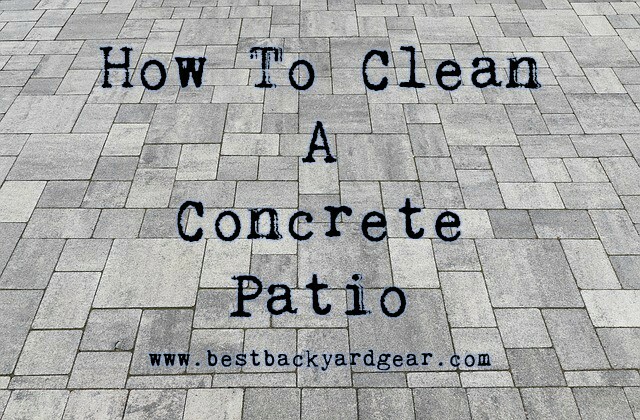 It’s really easy to clean; the removable litter tray and lifting roofs make the nasty job fairly simple. It has great ventilation – even though it’s plastic, your birds will get great air movement in this house as there are large adjustable ventilation flaps on the front and back. Collecting the eggs is as easy as lifting the roof flaps over the nesting spots and reaching in. The flaps also stay in position while you have them open, so they won’t slam on your arms as you reach in. It’s also very simple to assemble – the pieces just snap together, no tools required! Every opening locks shut with carabiner locks, which are great for keeping out unwanted wild life. You need to have access to the coop from all sides, ideally. 2 sides to check for eggs, the main side fro the door to let the chickens out, and the back to access the 2 cleaning trays. This isn’t an issue for some, but if you plan to put your chicken coop against a wall, it may not be the best design for you. Because this is such a high quality chicken coop it’s going to cost a little extra to purchase – it’s one of the few that costs over $500. Do I think it’s worth it? I do, and so do many others (see the reviews by clicking below), but if you don’t want to spend that much there’s plenty of more affordable options to choose from. If you liked the looks and materials of the earlier SnapLock option at the top of the list, but weren’t too crazy on the price, you’ll be happy to learn that there is a smaller, more economical, yet quite similar option available. 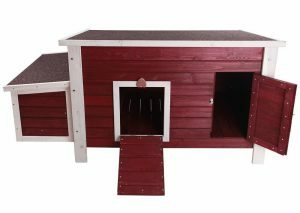 This “Standard” model is recommended to house 3-4 large chickens (the “Deluxe” model above was 4-6, if you recall). 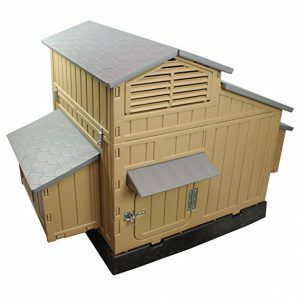 This SnapLock Standard chicken coop is also one of the most popular choices for many, as it’s solid, has great ventilation, and is easy to clean. It has 3 nesting spots with removable dividers and three 36″ roosts, so your girls will have plenty of room to sleep and lay their eggs. Unlike wooden chicken coops, it’s maintenance free! The double-walled plastic is water and chemical resistant, impact and ultraviolet resistant, and insulates nicely. Assembly is very simple – you won’t even need to get out your tool box, and it’s lightweight enough that one person can handle it on his or her own. It does not come with a stand, although oddly enough you get instructions with the kit on how to make one. While it’s cheaper than the Deluxe model, it is still a bit pricey compared to some of the wooden models (although if they require staining, sealing, or waterproofing, you’d need to add those costs in when comparing). You’re only getting the chicken coop, not a chicken coop with an enclosed run area. The SnapLock Standard is a great option if you’re wanting a maintenance free, easy to assemble, comfortable sized and quality backyard chicken coop. It has great reviews, and is in my opinion, fairly priced considering it’s going to last a lot longer than some of the cheaper options. It’s worth a closer look. Moving on from the plastic options we now head over to the more common wooden chicken coops. The Pawhut Wooden Backyard Chicken Coop should be one of your top options as it combines good size, decent quality, nice looks, and a fair price. There’s a decent sized outdoor run for your birds, enclosed with heavy duty wire that will keep your birds in and predators out. It’s made from China Fir wood, treated for longer lasting life, and painted a nice outdoorsy green (water-based paint). You can quickly and conveniently access your chickens through multiple doors. And the door between the coop and the run area can be closed from outside using a special handle, so you won’t have to enter the coop to close them in at night (if you chose to do so). The roof is made from green asphalt composite, which is weather-resistant so you won’t need to worry about leaking roofs. This coop does not come pre-assembled. Apparently putting it together isn’t all that difficult, but the general advice is that having an extra pair of hands is pretty important. 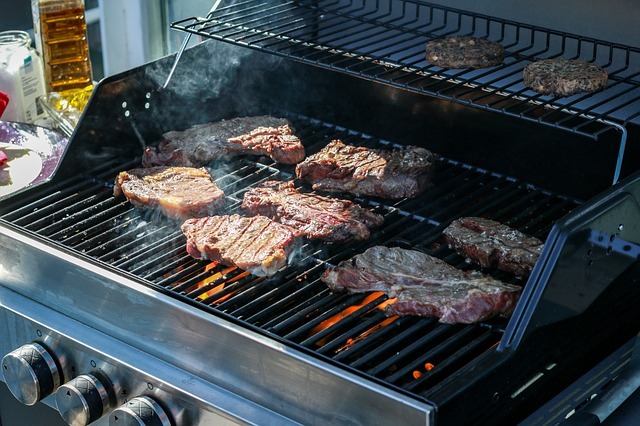 You’ll probably want to add a coat or two of water sealant on it, and may need to reapply annually or biannually. Many reviewers commented that they found it necessary to reinforce various parts of the chicken coop with extra screws. What’s really great is the price isn’t too bad and most people will be able to afford this product. If you’re needing a decent chicken coop and are thinking wood is the way to go, this chicken coop is a decent option. This chicken coop has a very similar design to the model we just looked at by Pawhut with a raised housing area and decent sized caged in run area. It’s also a unit worthy of attention, coming in a bit cheaper than the above model. This coop is made of weather-resistant fir wood, a warm, honey color that you can either enjoy as is, or paint whatever colors you so choose. The roof as well is made of wood (not asphalt like above). It has the same handy removable bottom sliding tray for easy cleaning that many other coops have – a feature you really will appreciate every time you go to clean the coop. The chicken coop kit includes the ramp leading up to the housing, where there is a sliding door that you control. It’s designed to give your chickens access to the shade and nests inside the coop and to the fresh air run area however they’d like. The whole chicken coop area is enclosed with sturdy metal wire fencing, which makes it safe for your chickens to enjoy time outdoors without worrying about predators, as well as gives important ventilation to the coop. You can access the nesting area to collect the eggs very easily; you simply lift the lid, and there are several other lockable entry-ways as well for convenient feeding, cleaning, and general access to the coop. This is a fairly small coop. Although some people will be comfortable housing 4 chickens in this coop, if you have 4 LARGE chickens, you may agree with many reviewers that suggest this is better for 2 or 3, max. You’ll likely want to do some staining and add further sealant to the (rather soft) wood to make it even more weather resistant. The wood does come treated, but apparently more is advisable… which does mean assembly goes from “fairly uncomplicated” to “a bit more work”. 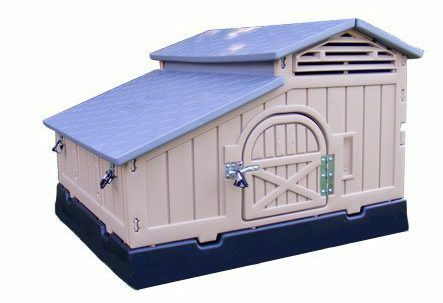 The Best Choice Products 80″ Chicken Coop is really a great starter coop, and if you’re handy, you can customize and make it exactly what you want with very little effort. Some reviewers mention purchasing two and putting them together to create a larger coop, or adding shingles, painting the wood their colors of choice, and extra locks for added protection, just for a few ideas. It’s a bare bones coop for a fair price, but it’s a great start to something excellent. Here’s a chicken coop that’s somewhat different in design from the previous options. It’s low to the ground, yet sits a few inches above it. It’s available in a Grey/White combo as well as this Red/White combo pictured, so if you don’t like the red, don’t immediately get turned off. 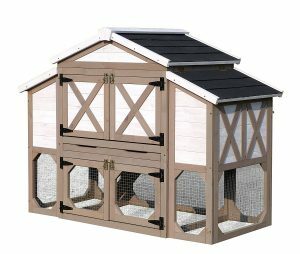 This Petsfit Chicken Coop is meant for 3-4 normal sized chickens, and it comes with one large nesting box on the side split with a divider into two. Collecting the eggs is simple – just lift the lid and reach in. The ramp to the raised coop is included, and also serves as the door when pulled up. Assembly is very easy, with good instructions, pieces labelled, and pre-drilled holes. It’s made from solid, rain-resistant fir wood, meant to be durable and long-lasting. Extra coats of sealant are definitely a good idea, however, to keep it nice for the long-term. There’s good ventilation in this coop, even when the doors are closed. The boards below the coop have gaps between. Cleaning this coop is NOT as easy as pulling out a removable litter tray. The 3 wooden floor panels can be lifted out for cleaning through the front “door”, but apparently this is NOT the easiest thing in the world to do. Multiple reviewers also advise laying down linoleum on the wood floor panels to product them from damage done by the droppings as well. The roof of the coop can not be opened, if you follow assembly instructions fully. Most reviewers recommend strongly that you purchase hinges and adapt it so you can lift the roof up for easier cleaning and access to the coop. Overall, this coop is good value for the price point. 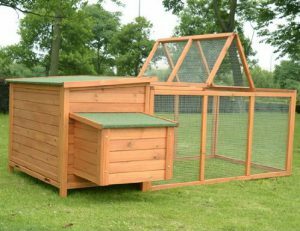 Although you’d still have to add a run area for your chickens, this coop is a good overnight coop to protect your girls from predators and the elements, and with nesting boxes for egg laying during the day. Here is another entry by Pawhut, this time their “Deluxe” model with a backyard outdoor run that’s beside the coop instead of underneath it. 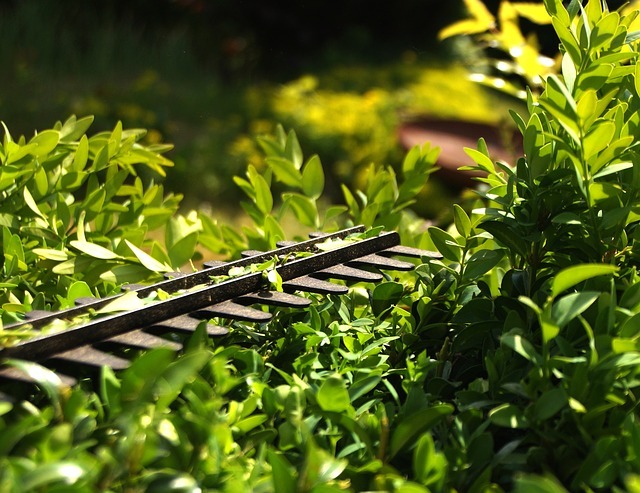 It’s a rather simple layout, but extremely functional – perfect for a few backyard chickens. The chickens have access to multiple roosting poles inside as well as a large, divided nesting box. When you want to collect the eggs, it’s as simple as lifting the lid above the nesting box and reaching in. The coop is made from premium China-Fir wood that has been treated and painted/stained for protection against the elements. Your chickens can get in and out of the coop easily, as the ramp is not steep or too challenging for small birds. You’ll likely need to add at least an extra coat of sealant, as the wood is quite thin and soft. The mesh, while fairly decent strength and definitely able to keep your birds IN the cage, may not keep out determined heavier predators all that well. The directions are pictorial and apparently requires some clever deciphering, but if you’re handy, you should be able to figure it out without too much stress. Overall, this is not your most durable, long-lasting, well-built option, but for the price you’re paying, it’s a great choice if you have a few chickens to house. Your chickens would be quite comfortable here! You’ve seen this basic shape before twice above, but put together like this in a “duplex” style it makes a great option if you have either 4 large breed birds who seem to like their space, or think perhaps in the future you may decide to grow your flock by a few birds. According to the specs it is suitable for up to 6 large fowl or 10 bantams! This duplex is made of 2 mirror image sleeping houses, both with removable roosting poles, sliding doors, and entry ramps. Each house has one big nesting box with a removable divider that can make it into 2, so it’s plenty of space for your 4 birds to make themselves at home. The outdoor run is nice and big! If you want to keep your birds separated somewhat for one reason or another, you can restrict the birds to just one side using the partition door in the middle. Both houses are easy to clean, with removable plastic dropping trays. The nesting boxes on both houses have hinged roofs with locking arms so egg collection is really easy. Your birds are well protected from unwanted visitors with close-mesh galvanized metal grid, metal slide latches and padlock fixtures. The coop comes with a one year warranty, so you can purchase with confidence that the coop will be to your liking. 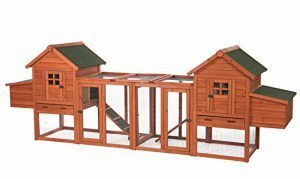 It’s one of a series of different chicken coops offered by Trixie Pet Products… unfortunately customer comments on their Amazon page are for the whole range of units. This makes it more of a challenge to get the actual low-down on this specific unit. Overall, if you’re someone who wants to “err on the bigger side” with your chicken coop for your 4 chickens, this is one of your better options. Plenty of space in the coops, and a large run area, with a split to separate birds who are feeling “peckish”. It’s a good choice. This chicken coop by zoovilla has some pizazz and style to it that some of the others perhaps are lacking. It’s a stylish unit that does not have a large footprint – perhaps a good fit for a smaller or urban backyard. This chicken coop holds up to 6 hens, and comes with 2 large nesting boxes (each with a divider, creating 4 spaces). There is a ramp (difficult to see in the photo here) that leads up into the coop from the left side of the run area. There are 4 locking doors for when you want to keep your chickens safely inside the coop… 2 on the run, and 2 on the house. The roof has black asphalt for longevity, and the unit comes pre-painted and treated. The nesting boxes are slighting higher than some other coops, making it possibly more difficult for children to help with egg collecting. The run area under the house is fairly low, so if you have a taller breed of chickens they may not fit all that nicely. This is a great buy for the price. 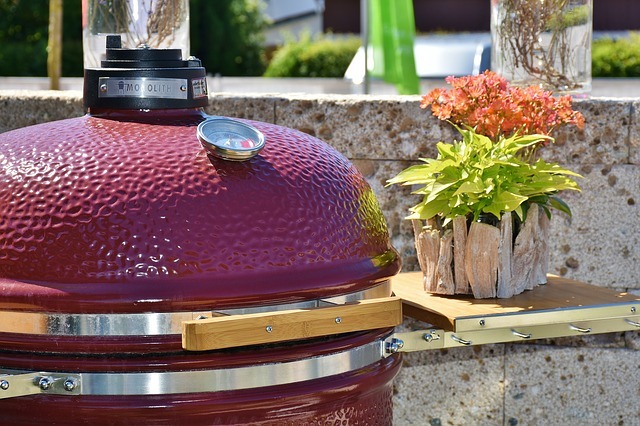 It’s worth a closer look if you find you’re wanting something a bit stylish in your backyard and something with plenty of room and good functionality. Ready to enjoy your own backyard chickens? 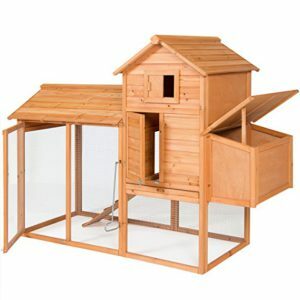 There are so many different types of chicken coops on the market! Backyard coops come in a bunch of different sizes, but not all can fit 4 chickens… and you can have a tough time finding one that is big enough. 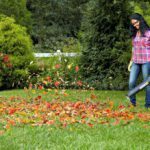 Thus this post here highlighting some of the best bigger coops that you can order online here. Another option of course is building your own, either from your own design or through a plan you purchase. I have no recommendations yet on chicken coop plans, though, sorry! That’s a topic for another day! 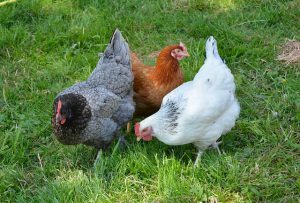 I wish you much enjoyment with your backyard chickens… have fun collecting and eating the delicious fresh eggs, and watching/getting to know your girls!